So… I caved. I finally bought this little set from Cult Beauty after months of lusting over the gorgeous rose gold glory. The justification I presented my bank account with was that I had a 15% off code so technically, it was a great deal. 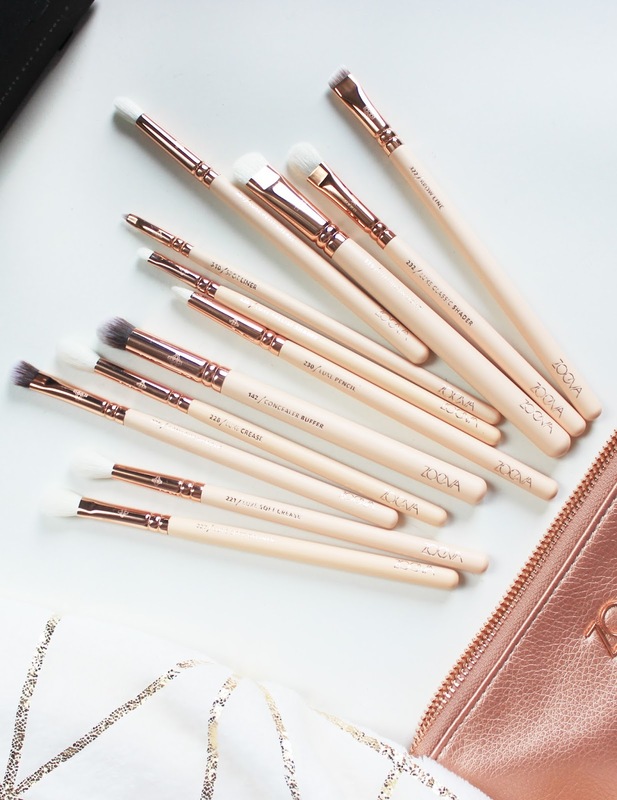 The Zoeva Rose Golden Brush Set was one of the first beauty purchases that I ever reviewed on my blog and I use those brushes almost everyday til this day. They are some of the most long lasting (and beautiful) brushes I have ever owned. A couple of months back, I came to the conclusion that I didn’t have enough eye brushes for the looks I wanted to create, and I wanted an all round set that had the right brushes for all the little details. I knew that I loved the Zoeva brushes that I had already tried so I saved the Rose Golden Complete Eye Brush Set in my wishlist until I was ready for the splurge. The Zoeva packaging never fails to make me gasp every time I open it. This set came in a beautiful black box embossed with foiled gold lettering, and inside was a beautiful rose gold pouch containing all the brushes. Each brush was individually wrapped and protected with little brush covers, beautifully organised and presented in such a stunning way. This would definitely make a beautiful gift for a makeup lover or as a treat for yourself. 142 Concealer Buffer; to apply and blend under eye concealer. 221 Luxe Soft Crease; a beautiful blending brush. 227 Luxe Soft Definer; a slightly smaller blending brush. 228 Luxe Crease; perfect for transitional blending in the crease. 230 Luxe Pencil; applies and blends soft kohl. 231 Luxe Petit Crease; accentuates shadows in the crease. 232 Luxe Classic Shader; perfect for packing eyeshadow on the lid. 235 Contour Shader; emphasizes eye contours around the lid. 238 Luxe Precise Shader; precise eyeshadow application. 310 Spot Liner; applies eyeshadow against lashline precisely for thicker looking lashes. 322 Brow Line; applies eyebrow products for perfect brows. 325 Luxe Brow Light; perfect for brow bone highlight. These brushes retail for £65 but with my discount, I managed to get them for £55.75 which worked out at about £4.64 per brush (and a beautiful pouch for free!). 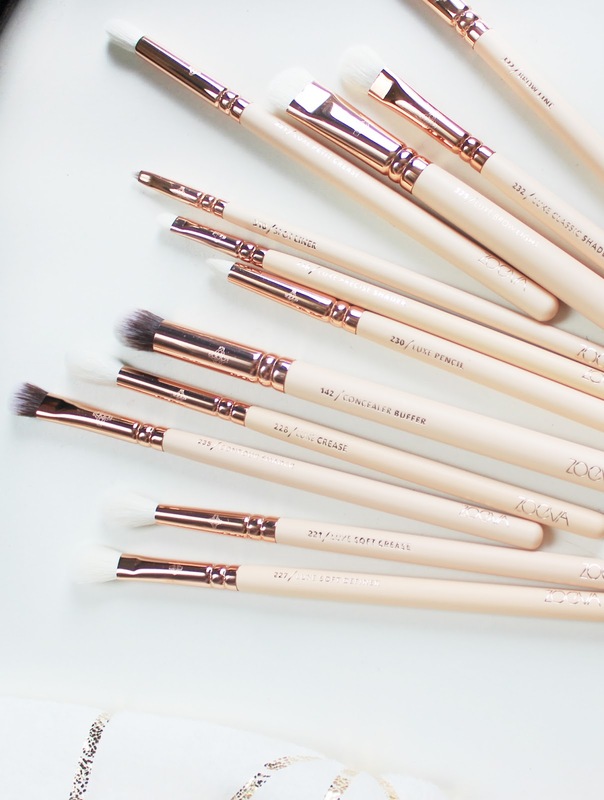 I thought that was incredibly good value as generally you’d end up paying a lot more for eye brushes individually and these are brushes of really lovely quality which will last for years to come. All in all, I’m excited to get lots of use out of them, and I’m sure they’ll be in lots of blog posts in the future! 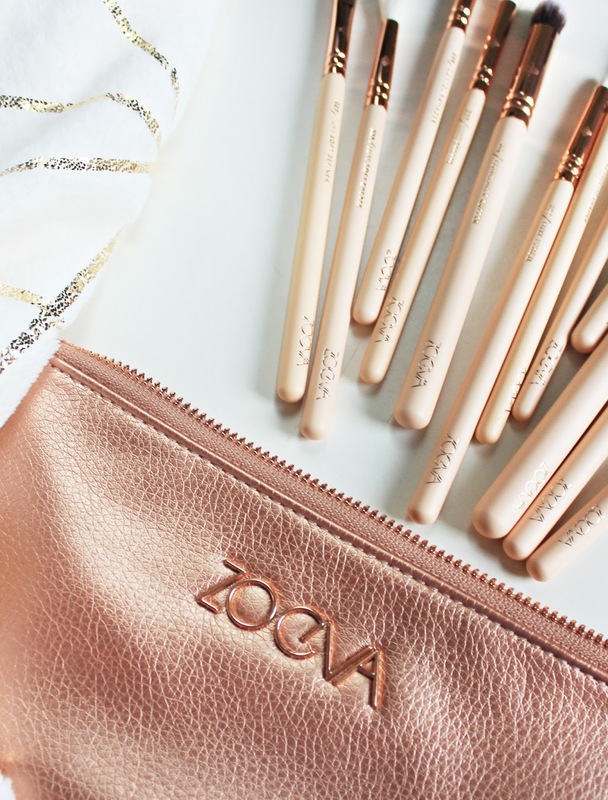 Have you tried the Zoeva eye brushes?